Not just another hockey site. – The Boston Bruins ran over Ryan Miller and The Sabres (Literally) for their 5th straight win in a so far perfect November. -The Columbus Blue Jackets welcomed Nikita Nikitin to the team with 24:57 of ice time, he had 1 assist, Steve Mason had 35 saves, and rookie Ryan Johansen had 2 goals in a 2-1 win over Winnipeg. – The St.Louis Blues welcomed Kris Russell, who scored the gamewinner in a 3-0 shutout over Tampa Bay. Brian Elliot made 19 saves in the effort. -The Detroit Red Wings are back on track, winning 4 straight games with last night’s grilling of Dallas 5-2, Jimmy Howard is on fire, making at least 22 saves each game in that 4 game span that included 2 shutouts. – The Blackhawks are tops in the west (also tied for best in NHL) with the usual suspects (Kane,Hossa,Sharp,Toews) leading the way. -Martin Brodeur became the leader in most regular season losses with 353 (surpassing Curtis Joseph and Gump Worsley). Hey, if you are going to have the most wins, why not have the most losses as well? When the word “captain” is thrown around in hockey, names of stars are mentioned. Guys like Crosby, Lidstrom, Iginla and Chara are all discussed. Rarely brought up are blue collar guys like the captains in Phoenix and Winnipeg. Shane Doan has been with the Winnipeg/Phoenix organization since being drafted in 1995 and was named the team’s captain in 2003. He’s seemingly been the face of the franchise since the team moved to the desert in 1996. Doan is in the top three of the franchise’s leaders in goals, assists and points and owns the top spot in all three categories if only Coyotes statistics are counted. Andrew Ladd is only 25, but already has two Stanley Cup rings, 2006 with Carolina and 2010 with Chicago. He’s also the (new) Winnipeg Jets captain. 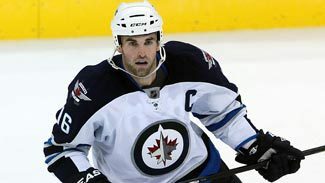 Ladd’s played in his fourth city (third franchise) in the last five seasons. Jets fans hope that Winnipeg is a long term stop for the left winger. –Holy smokes was the Bruins Cup Lowering…er….Raising Ceremony epic in it’s length. Oh well If I got a problem with it, my team should win instead. –I know that playing games in Europe has a rather mixed bag of opinions, but I really do like the Stockholm locale for these games. If the NHL must go to Europe, maybe they can ONLY go there. –Despite my feelings that the league left Atlanta too soon, it was a nice sight to see in Winnipeg for their grand return. While the Jets are still the Trashers on the ice, the enjoyment should continue the whole season. Welcome back but dont say we didn’t warn you. Offense: Not much change on offense for the Jets, who have a dependable leader up front in Andrew Ladd. Winnipeg hopes that Brian Little can regain his scoring touch and that Blake Wheeler returns to 20 goal form. Exciting young Evander Kane is also on the verge of breaking the 20 goal threshold and this may be the season he does it. The most dramatic change that could occur up front would be moving Dustin Byfuglien back to forward, where he enjoyed great success during Chicago’s Cup run two seasons ago. Veteran Kazakhstan-born Nik Antropov will also chip in offensively. Also, look for the continued development of second year player Alexander Burmistrov, a kid with a ton of skill and potential. – Chris Drury, unable to find a new team, called it a career on Friday. Drury played 892 games in 12 NHL seasons with 4 teams (Colorado, Calgary, Buffalo, New York). 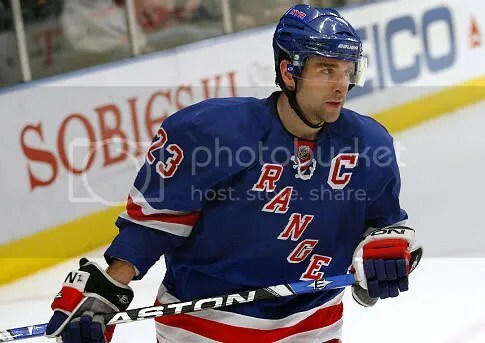 He finished with 615 career points (255 goals, 360 assists) He also played internationally in 3 Olympics, 3 IIHF championship tournaments, and 1 World Cup Of Hockey. He earned 2 silver medals in the Olympics, and one bronze in IIHF competition. – The once highly touted Fabian Brunnström has earned a tryout with The Detroit Redwings. It will be interesting to see if he can finally show some of what was expected when he came to the NHL, or if this will be his last stop. Bleeps And Bloops: Quick Thoughts On Possible Rule Changes. Hybrid Icing: Safety is the main issue that gets addressed here (Remember Kurtis Foster’s injury? ), without taking away from the game. Easily something I think that should be implemented in the game. Although some would argue about the officiating on certain calls, which is the only real argument against it. No Icing While Shorthanded: If the NHL can find a way to boost scoring, they’ll test it out (Remember the idea of round nets?) Now, I understand the want to score more often, but I don’t really like this idea. You should be able to ice the puck while shorthanded, make the other team actually have to work on the powerplay. The other guy has two or five minutes in the box, that should eb enough of a penalty on his team. Overtime Changes ( 4 minutes 4 on 4, then 3 minutes of 3 on 3): If this gets rid of the shootout (unless the shootout goes to 5 shooters), im all for it. However, I really do not like the idea of 3 on 3 hockey, it should be 4 on 4 minimum. Would be interesting to do on a test run basis in the NHL. No Line Change For Team That Is Offsides: Honestly, I like this idea, if a line can’t come into the zone onsides, they shouldn’t be able to change. Honestly, unless the players on the line have been on the ice a while, but, going offsides is their own fault, is it not? But,like the next rule, it could have an impact on the game negatively. Faceoff In Own Zone After Offsides Is Called: Now this, I do not like, at all. This would encourage dump and chase hockey, which, just isn’t that good to watch from a fan standpoint. I don’t see this rule making it very far at all, it will not see the light of day in the NHL. Eliminate The Trapezoid: Yes, yes, and yes. Getting rid of the trapezoid behind the net has my approval. Goalies should be aloud to play the puck, there is no good reason this rule was ever implemented. Goalies doing a bit more work, I don’t see any defensemen who would have to chase the puck otherwise, that would argue against that. Let the goalies be free from the evil trapezoid! Goal Line Camera: A brilliant idea I can’t believe they didn’t think of sooner! So many close calls, some right , some wrong . Now, if we can work on defining “kicking motions”, that would be another huge step forward. I would really like to see this implemented in the NHL. But I feel it might not be 100% fool proof depending on the camera’s position if say, the goalie was on top of the puck. – Kris Draper announced his retirement from the NHL. He is a 4 time Stanley Cup winner (1997, 1998, 2002, 2008. All with Detroit), as well as a 2004 Frank J. Selke Trophy winner. He totaled 364 points in his 19 year NHL career that spanned 1157 games. Also has 2 world junior gold, 1 world cup gold, 1 world championship gold and silver to his name with Team Canada. Congrats to him on a great career, and all the best to him in retirement! – Nikolai Khabibulin is heading to the slammer after deciding to not appeal his 2010 DUI conviction. The lesson, being on injured reserve for a sore back, not the time to get wasted. On the bright side, 15 days is plenty of time for him to start a prison yoga gang.